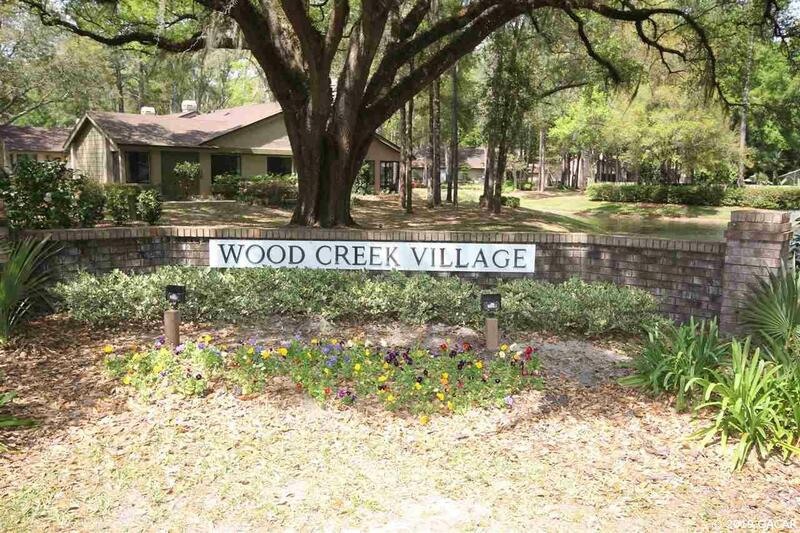 2 bedroom, 2 bathroom condo in NW Gainesville's Wood Creek Village. 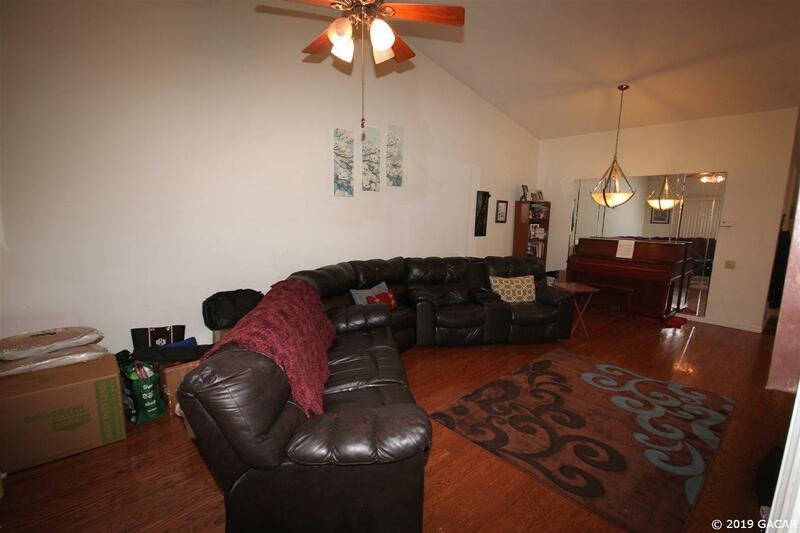 This single story, ground floor flat has vaulted 12 foot ceilings that greet you as you enter the space. The living room/dining area are open and bright. Off the living room is a screened, covered porch with storage area. The bedrooms are split for privacy and each have a full bathroom. The home includes a washer and dryer. The large master bedroom has vaulted ceilings, walk in closet and a door to the porch. Wood Creek Village has a community pool and beautiful green spaces. 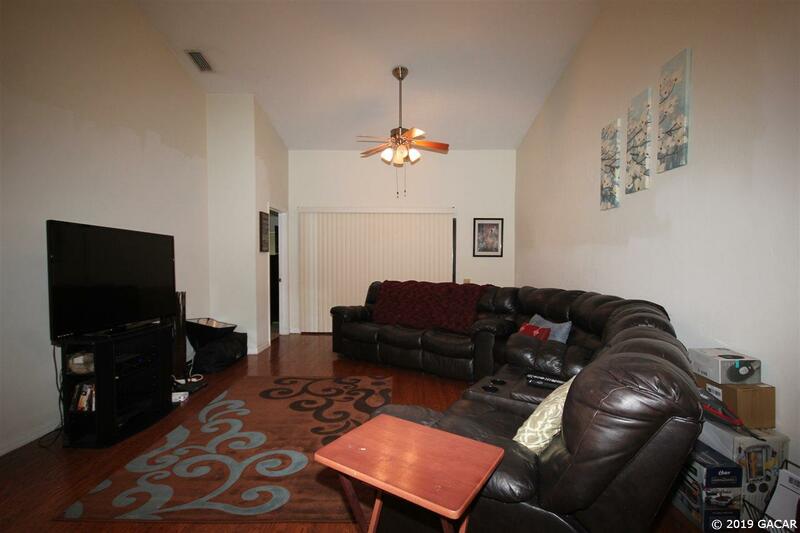 The neighborhood is nestled within the Woodcreek neighborhood and is very quiet and secluded. But just a short walk away is Millhopper Publix and the Fresh Market. Enjoy a play at the Gainesville Community Playhouse, dinner out at Thornebrook shops- all just a few blocks away. 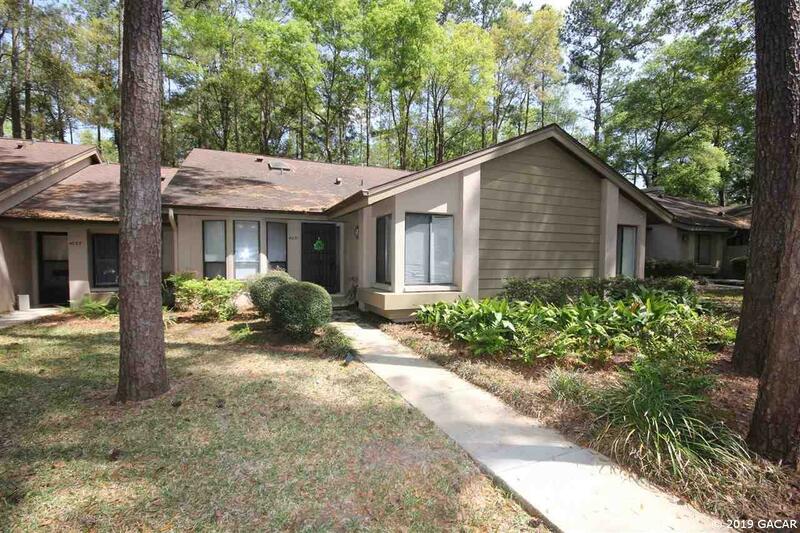 Located less than 3 miles to UF, UF Health and the Gainesville VA. On street parking with plenty of visitor spots. Association Information Pet Restrictions Pud W/Owners Assn.